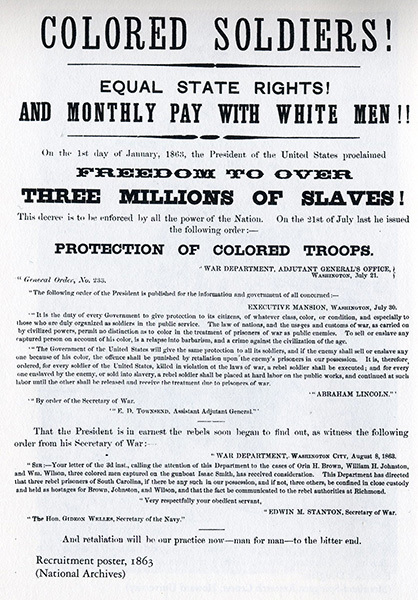 A recruitment poster displayed by the Union Army to attract African Americans to service during the Civil War. The most valuable thing gained by a slave enlisting was freedom. The knowledge that this freedom could be lost if the Union was defeated made USCT soldiers among the most motivated in the Union Army.